Applying for aÂ loanÂ is one of the biggest financial decisions you will make. A loan impacts various areas of your life and requires careful planning and management of your finances. Of all the factors considered while applying for a loan, rate of interest is the most carefully considered components in loan applications. After all, it is the cost of borrowing money from a lender. It has acquired a reputation since it is affected by, and influences, a lot of factors such as type of loan, tenure, age, andÂ EMI. The fixed rate of interest, as the name suggests, is the type of interest that remains fixed. Usually, lending institutes allow the rate of interest to remain fixed for certain duration, post which it turns to floating rate of interest (explained below). For the duration that the interest rate remains fixed, the borrower can continue to pay according to the contractual (lower) interest rate. This is the biggest advantage of this type of interest, that the rate remains constant despite the fluctuations in repo rate. Thus, it protects you against volatile fluctuations. But on the flipside, if the repo rate decreases, the borrower needs to continue paying the agreed (higher) rate of interest. The floating rate of interest is quite opposite to this. A floating interest rate changes according to the changing repo rate. At the time of signing the loan agreement, the floating rate of interest is, comparatively, lower than fixed rate of interest. This is because floating rate of interest is influenced by the repo rate all through the loan tenure. One of the main advantages of floating interest rate is that it remains low during low inflation period. It also means that you pay lower EMI every month. However, when the repo rate rises, so does your interest rate and, in turn, the EMI. Let us look at amortisation charts for both types of interest rate in order to understand how each of them has an impact on the EMI paid each year. -The total amount paid towards the loan is lower with the floating rate of interest. 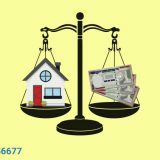 Thus, while the EMI for floating interest rate varies significantly each year, you do pay lesser amount towards your loan. But with a fixed rate of interest, you can predict your EMI and manage your monthly finances better. In conclusion, it is advised to carefully assess all the factors before you decide upon a particular type of interest rate. 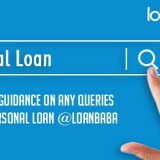 How is Business Loan Different from Equity Financing? What is a Hybrid Home Loan and how does it help you? 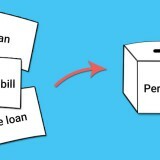 Next story Layman Series: Who is a Guarantor and What are Guarantor Loans?